Imagine the heartache a parent may feel getting a doctor’s report that their child is autistic. Autism and autism spectrum disorder (ASD) are general terms for a group of complex disorders of brain development, characterized in varying degrees by social interaction difficulties, verbal and nonverbal communication and repetitive behaviors. Although unproven, some believe there is a link between childhood vaccines and autism. The following five celebrities may not claim to be anti-vaccine but they do reveal noted changes in their child’s behavior after receiving a vaccination. 1. Holly Robinson Peete – In a revealing interview with PEOPLE, Holly Robinson Peete shared her painful story about the day she discovered a distinct change in her son Rodney Peete Jr.s’ behavior, “He and his (twin) sister were hitting all their developmental milestones on time. He was sweet, had a great disposition and was always giving kisses and saying his few words. I will never forget that because one day he stopped. He went from saying, ‘cow, cow’ to nothing. Silence. Indifference. That change happened when he was about 2 1/2, very soon after he had received his inoculations for measles, mumps, and rubella. I noticed he ceased making eye contact and responding to his name without loud repetitive shouts. ‘RJ, RJ, RJ!’ we would scream helplessly.” The actress, along with her husband, retired NFL star Rodney Peete, run The HollyRod Foundation, an organization dedicated to providing compassionate care to those living with autism and Parkinson’s disease. 2. Jenny McCarthy – Jenny McCarthy is a vocal activist on the vaccination-autism controversy. In a PBS interview, she describes her experience regarding a vaccine-autism link with her son, Evan. “…He hit pretty much every milestone. It wasn’t until after the MMR [measles, mumps and rubella vaccine] he started showing some regression — meaning not talking as much as he used to. In playgroup, he was more by himself. Kids would steal toys from him, and he didn’t even know they stole the toy. And I would think I just had the most polite little boy in the world who didn’t mind people that stole toys from him. Really, those were the first kind of behaviors that I look back now noticing. Then he started to develop blue circles under his eyes, bloated belly, gas, constipation, eczema, yeast. And these are all — now I know — comorbid conditions that go with autism…” Many believe the actress is anti-vaccine, however McCarthy adamantly denies that claim and clarified her position while on the Howard Stern Show in 2013, saying she opposes too many vaccines in one sitting because according to her this causes immune disregulation, which she believes can cause autism. 3. 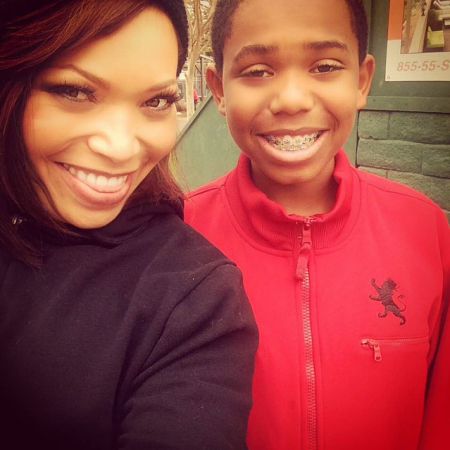 Tisha Campbell Martin – In an interview with Essence Magazine Tisha Campbell-Martin shared her experience with vaccinations and her oldest son’s autism diagnosis. “Right after [Xen] got the Hepatitis B shot; I noticed a difference the second day of life. There was just something different and I kept telling everyone who walked in the room, ‘Something is up with this baby’ and they kept saying no you’re a new mom. The same exact thing happened with my nephew. He started having seizures and autistic-like symptoms. I asked if he’d gotten the Hepatitis B shot and they said yes. I couldn’t say anything. So when you asked me do I think [vaccinations] can attribute to autism, I think it might have something to do with it because of what I’ve seen from my particular family.” Martin produced a short film about autism called Colored My Mind to address issues surrounding African-American children getting diagnosed two to three years after their Caucasian counterparts. 4. 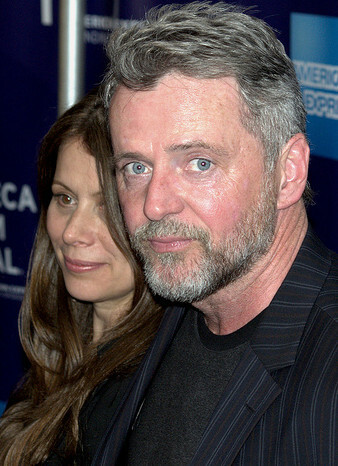 Aidan Quinn – Aidan Quinn spoke to the The Star, about his thoughts concerning a MMR vaccine his oldest daughter was given right before he noticed a dramatic change in her personality. “She was a normal child… Way above normal, in fact. And then she received a vaccination. She got a 106 degree fever, she turned blue and she woke up the next day a completely damaged child after that.” The official diagnosis was severe autism. 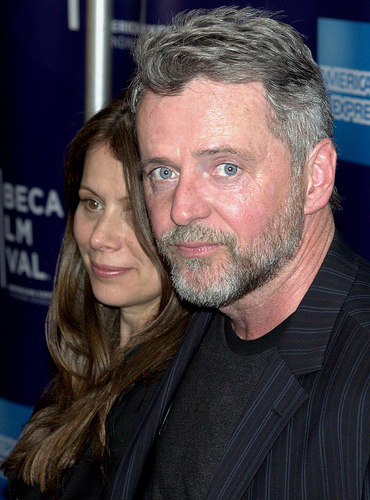 The actor also spoke about the challenges he faces as a parent. “It’s a very difficult journey and I didn’t do so well on parts of it. I will tell you one thing. My career absolutely took a back seat right away and it still has to, to this day.” His daughter, Ava, is now an adult and is nonverbal. Quinn encourages parents to get their child treated as early as possible if there are suspicions of autism, plus he recommends detoxing if they suspect it’s vaccine-related. But, the bottom line is you just do the best that you can and get the most help possible. 4. 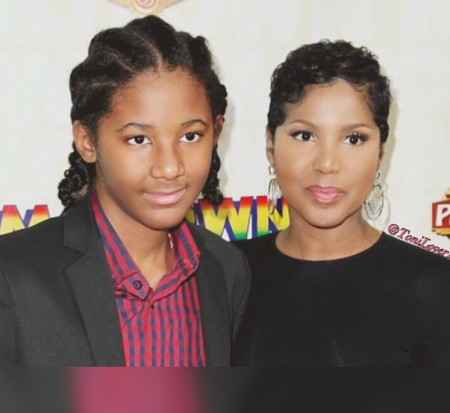 Toni Braxton – After discovering her second son, Diezel was diagnosed with autisim Toni Braxton wrote about her experience with vaccines in her book, Unbreak My Heart. “Maybe it’s just a coincidence that after my son’s first MMR vaccine, I began to notice changes in him. He wasn’t the same spirited infant I brought home with me from the hospital. He seemed different. He didn’t respond to affection. Most children embrace attention from their parents or grandparents. Diezel did not…” Braxton recalled that shortly after she revealed her son’s diagnosis publicly, at one of her concerts, Suzanne Wright, co-founder of the advocacy organization Autism Speaks called her directly and told her, “there’s nothing wrong with our babies, they just learn differently.” Braxton is now very involved with Autism Speaks and serves as their International Spokesperson. Really interesting post.. thanks for sharing! Very interesting read. I work in the public school system and have heard a lot of controversy over this.. Thanks for sharing! Interesting post. As an ASD parent, I see these faces often. I didn’t know about all these celebs and their vaccine injured children. I questioned vaccines long before I heard of any celebrity speak out about it. I too have vaccine injured children and my youngest is not vaccinated at all. She is by far the healthiest child out of the bunch. Thanks for bringing light to such a dark subject. Great post. Having worked in Special Education and mostly with families of children with autism, I always find this debate interesting. Thanks for sharing!!! Wow, this was an interesting read. I do not know much about autism, I have read about it….but this makes you think.